With all the trials and tribulations we put our hair through (I’m talkin’ dyes, bleach, hot tools, blow drying, etc., etc. ), we need to make sure we’re giving it all the nutrients and nourishment it needs. Claudia and I have put a couple hair masks to the CO Test in our time, but honestly, you can never try too many hair masks! As you may know, I’ve experimented with OUAI products in the past and have had such great results! 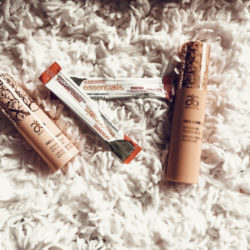 So when I won an Instagram giveaway with OUAI, First Aid Beauty, and Aquis, I was PUMPED! 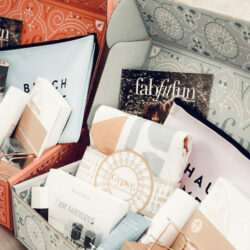 And it just so happens the OUAI Treatment Masque was part of that giveaway package. I gave a couple packets to Claudia and we were well on our way to another successful CO Experiment! 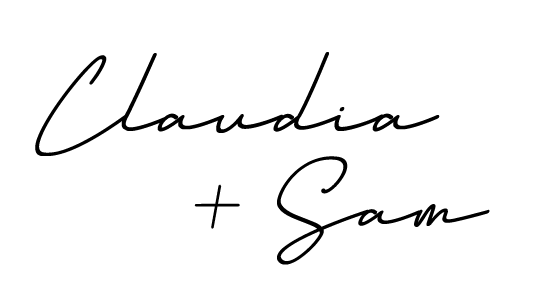 A huge part of why Claudia and I do what we do is so we can make sure you guys don’t waste their time with bad products or using good products incorrectly…you’re welcome! That’s the case with the OUAI Treatment Masque. 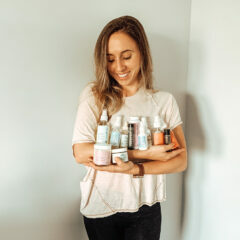 When Claudia first texted me that she was going to use it in the shower that night, I immediately was worried she was supposed to use it on dry hair, pre-shower. She thought she was supposed to use post-shampoo in the shower. We both referred back to the directions (on the website AND on the packaging) and we ultimately were both CONFUSED. So Claudia decided to put it on dry hair before she hopped in the shower. And her results? Eh, just okay. It didn’t seem like the mask was able to reach its full potential. So, as any good bestie does, she warned me to try it in the shower, not on dry hair! With my first OUAI Treatment Masque experiment, I hopped in the shower, shampooed as normal, and applied the mask. After ensuring it was covering my hair evenly and completely, I pulled my hair back into a high bun with my Invisibobble, and proceeded on with my shower for the next 5-10 minutes while the mask soaked in. Upon the initial rinse, my hair didn’t feel all that different. Honestly, some conditioners make it feel better in the shower. Then, I hopped out of the shower, wrapped my hair in my Aquis towel and then let it air dry and didn’t add any additional products (for the sake of the experiment, of course!). As it was drying, I could tell my hair was feelin’ fresh and nourished! Claudia tried the OUAI Treatment Masque the second time while using it as a conditioner, instead of a pre-shower treatment. After shampooing, she let it sit just a little longer than she would for a normal conditioner. Then rinsed it out and went on with her normal evening routine! Honestly, though she was totally worried it was going to weigh down her hair. 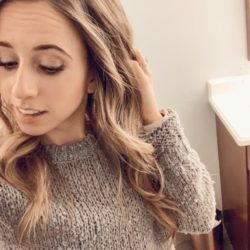 As I woke up the next morning, my hair felt light, bouncy and healthy! It really was like-virgin hair. I was super impressed! 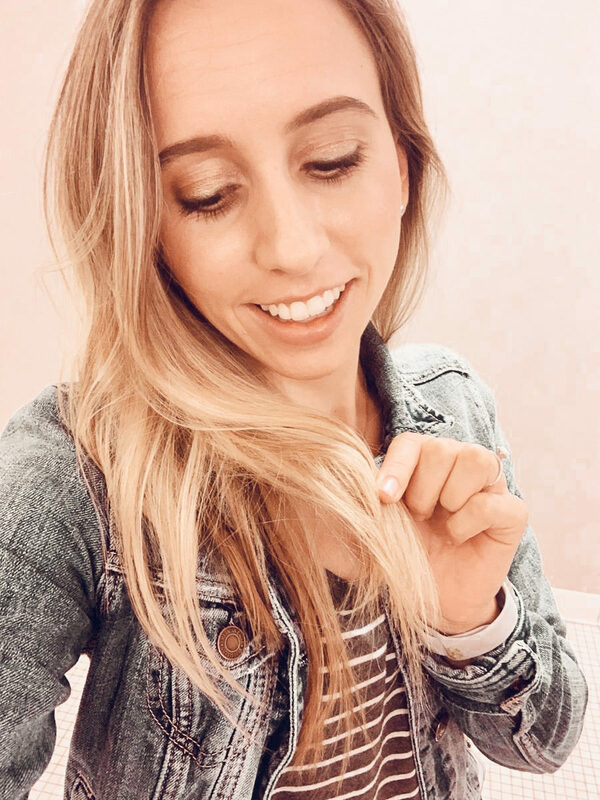 The OUAI Treatment Masque even made my hair easier to style. Which when you’re running to get out the door to work, “easy to style” is the name of the game! In typical twinsie fashion, Claudia felt the same way when she woke up the next day! Her hair was SUPER soft. And her ends? Way more moisturized than they were before! 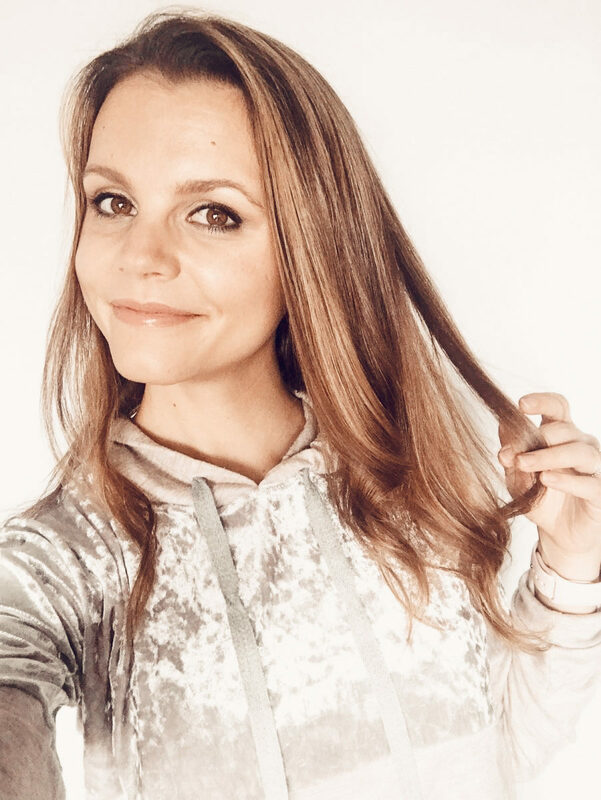 Claudia and I were both in serious need of some hair TLC…Claudia has been prolonging her next haircut and I’m in full time wedding-prep mode! 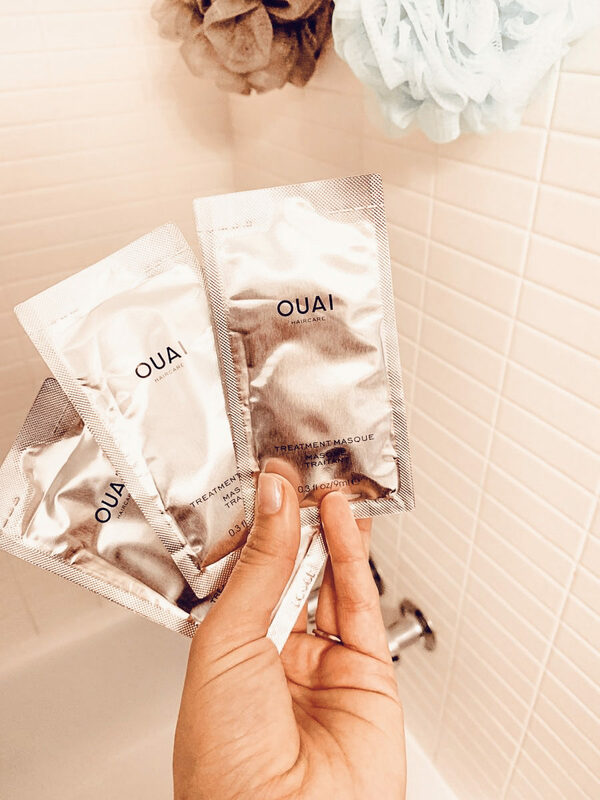 For $4 per packet, the OUAI Treatment Masque is the perfect way to restore our hair without breaking the bank on expensive salon treatments and products! 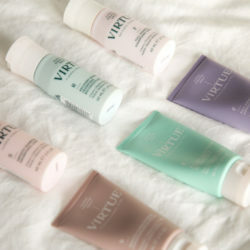 What are your go-to hair masks and treatments? 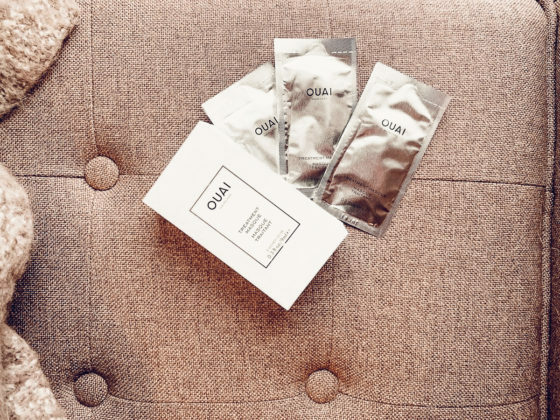 As much as we love this OUAI hair mask, we LOVE to hear what has or hasn’t worked for you guys in the past!